Some people and small offices have a backup hard drive that periodically makes a copy of important files. While this is better than no protection at all, it's still vulnerable to events such as natural disaster, lightning strike, theft, fire, water damage/flooding. You've taken the time to create it or capture it — everything that matters to you, from financial to sentimental. But you're just one system error, one spilled latte, one stolen backpack away from losing it all. If it matters to you, make a second copy! Like a jet plane with more than one engine you need a backup. If your files are backed up and an important file is lost, you can relax because you have a copy. Make it automatic. Set it and forget it. You don't have to think about backup everyday if you use backup software that automatically makes a second copy for you instantly. 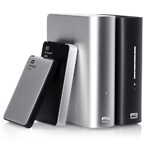 Western Digital offers several models of external hard drives that include automatic, continuous backup software. It’s not hard… in fact, it’s easy. Protect the files you create yourself whether they are text documents, e-mail messages, pictures, music, videos or game saves. If you made them, you want to save them and keep them nearby. You don't have to back up your entire system — a time consuming task that duplicates the issues you've built up over time on your hard drive. If your system fails, use the original copies of your software programs and reinstall your operating system to get a fresh start. Back up to an external drive. You can back up to CDs or DVDs, but this is a slow, manual process. And contrary to popular belief, most CDs and DVDs are not permanent. Low-priced CDRs may not be readable in as few as two years and thumb drives are small, lower capacities, and easy to lose. 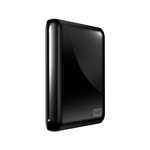 The best backup medium is an external hard drive. It takes stacks of CDs or DVDs and handfuls of thumb drives to back up all the data that could be stored on a single external hard drive. 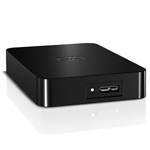 High-capacity external drives are fast and allow you to keep all your backed up data in one place. For extra safety, get a two-drive external storage system and dedicate half the capacity for mirroring to automatically and instantaneously back up your backup every time. 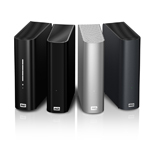 WD's external hard drives are sleek, stylish, made for your grab-and-go lifestyle and most come with our easy-to-use backup software... so let WD be your backup plan!